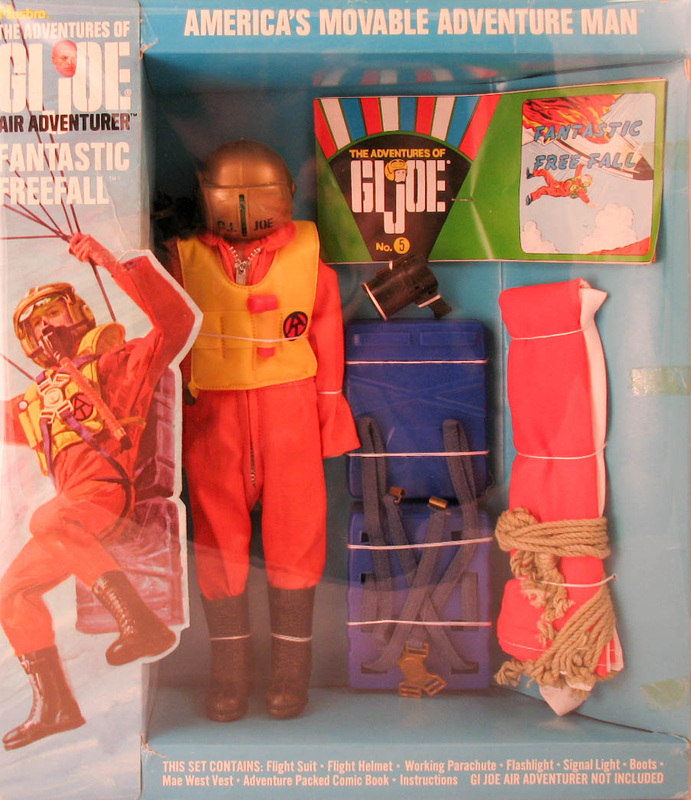 Like the 1969 version before it, Fantastic Freefall (7423) is a reworking of the earlier Fighter Pilot, without the G-pants and with a vinyl Mae West vest. 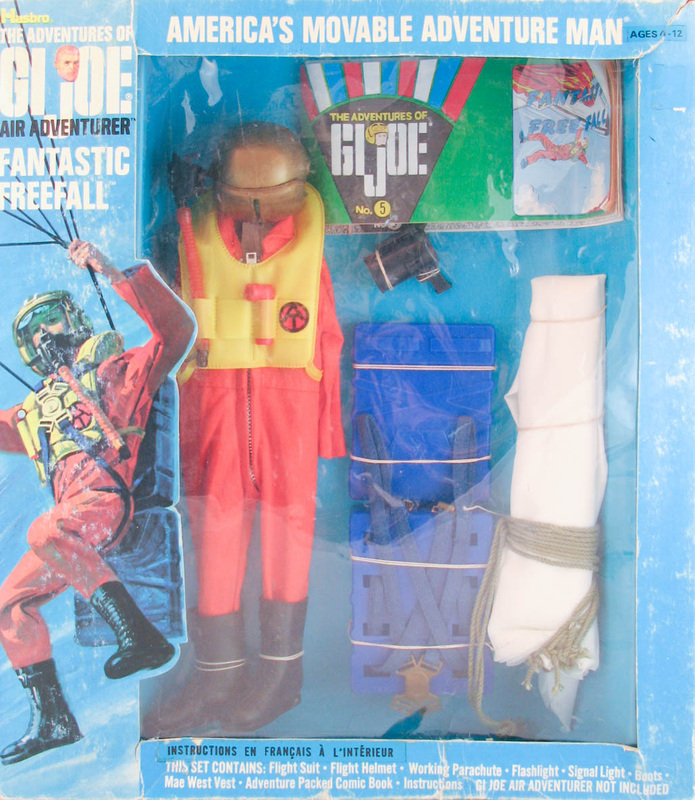 The 1970 release sported the classic orange and white parachute, while sets available in 1973 and 74 went to an all-white version. Skdive to Danger replaced the set in 1975 and 76. Below, the 1970 release. The box below that is the 1973 Canadian release version different from the US version only in the addition of a French language sticker and comic.